Kampala (AFP) - A US tourist and a safari guide kidnapped by gunmen in a Ugandan national park have been recovered safe and sound after a ransom was paid for their release, a safari firm said on Sunday. The pair were hauled from their safari vehicle by four gunmen around dusk on Tuesday as they drove through the Queen Elizabeth National Park. Mike Walker, manager of Wild Frontiers Safaris, said US tourist Kimberly Endicott and experienced guide Jean-Paul Mirenge, were "back safe". "Ransom paid and people exchanged," he told AFP by text, adding that he didn't know the "precise amount yet". US President Donald Trump, in a tweet, confirmed the news of Endicott's released. Police had said the kidnappers used Endicott's mobile telephone to demand a ransom of $500,000 (445,000 euros) for the release of the pair. Asked about the ransom, police spokeswoman Polly Namaye would not confirm directly but referred AFP to the tour company, saying it was "an authority on its own". She credited the safe recovery of the pair "to the untiring efforts" of the search teams who were drawn from the police, military and the wildlife authority. "The victims of last week's kidnapping have been recovered alive," Namaye said. The Ugandan police's tourist protection force had deployed a special response unit working alongside soldiers and wildlife rangers in the hunt for the kidnapped pair. Queen Elizabeth National Park, one of the East African nation's most popular wildlife reserves, runs along the border with conflict-wracked regions of the Democratic Republic of Congo. It borders the famous Virunga national park, the oldest in Africa. Numerous militia groups and armed gangs roam eastern DR Congo. Virunga suspended all tourism activities last year after a ranger was killed and two British tourists kidnapped. The Britons and their driver were freed two days after the attack. The park reopened in February. Government spokesman Ofwono Opondo wrote on Twitter that Endicott and Mirenge, were rescued "by Uganda security forces in the DRC". He added that "the kidnappers have escaped and operations continue." 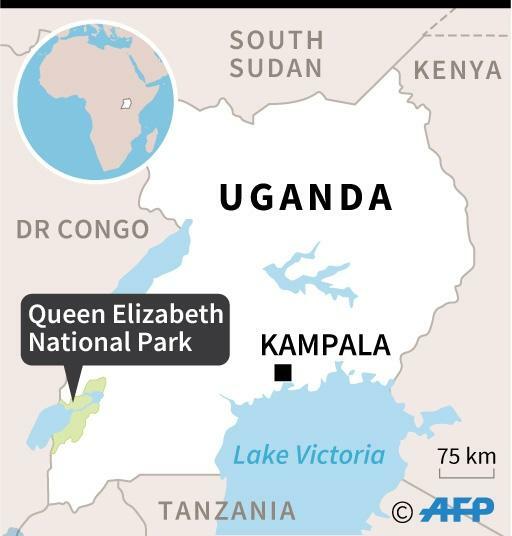 Queen Elizabeth park is about 150 kilometres (90 miles) north of Bwindi Impenetrable National Park, famous for gorilla trekking. Uganda is home to more than half of the world's endangered mountain gorillas. In 1999, Rwandan rebels killed eight foreign tourists and four Ugandans there, inflicting an enormous blow to Uganda's tourist industry. The rebels were part of a militia group that was involved in the 1994 Rwandan genocide before fleeing to the jungles of DR Congo. Tourism is a key industry for Uganda, as a major earner of foreign currency. Hundreds of thousands of tourists visit each year.